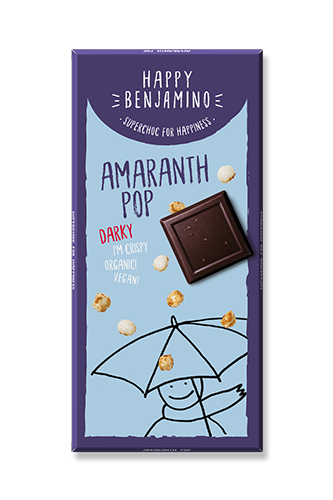 We are Sarah, Martin and Krassimir from the Benjamin family and our mission is to revolutionise the chocolate world. 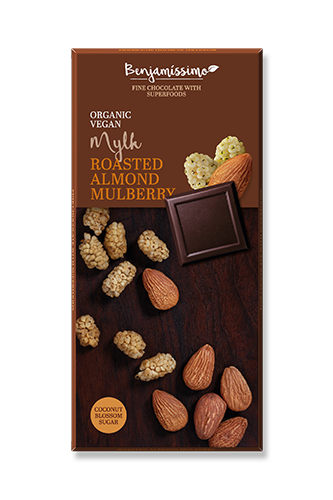 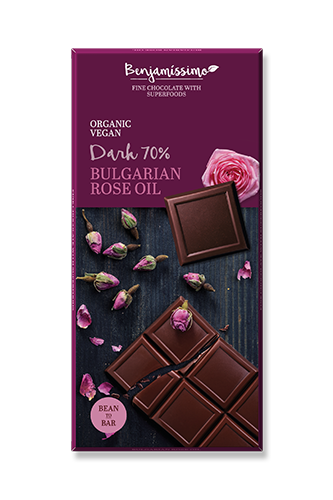 In our hometown Sofia, Bulgaria, with all our passion and love – we took on the challenge of creating a bean-to-bar chocolate, that is making a difference for our partners, for the environment and for our customers. 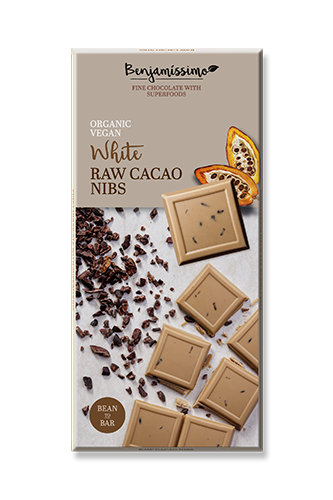 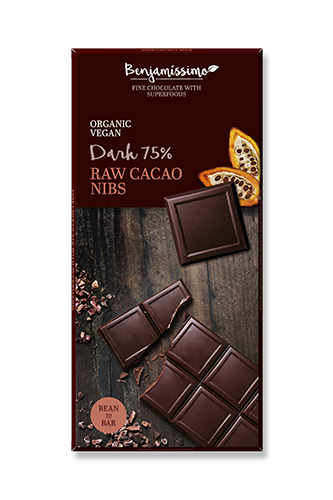 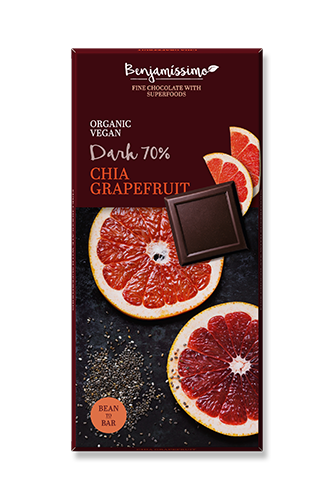 Our chocolates are 100% vegan, organic, gluten free and contain no refined sugar, yet are incredibly tasty. 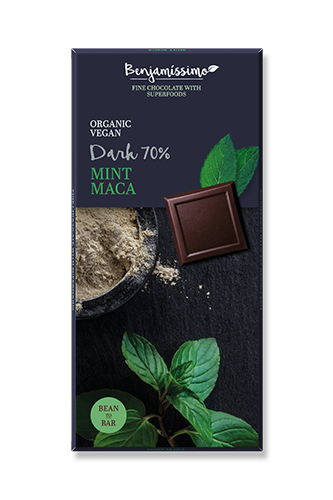 We use exceptionally high quality, fairly traded cacao beans from small family run farms in Nicaragua, Colombia and Ecuador. 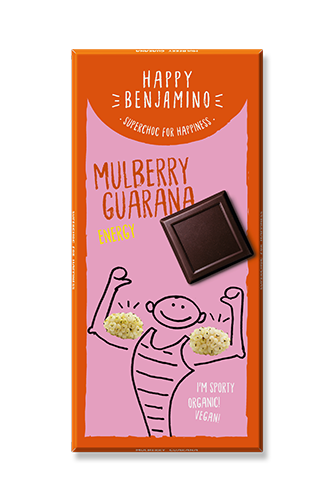 We add superfoods and mix it all together for an irresistible healthy treat for body, mind and soul. 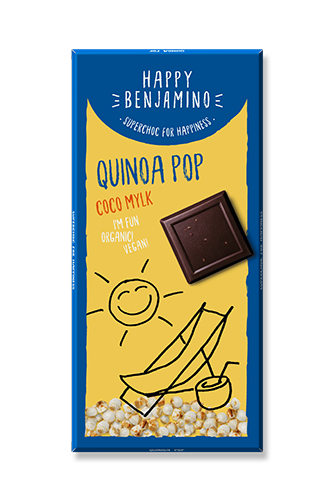 Benjamissimo is our premium chocolate, made of fine flavour, fairly-traded cacao beans from Nicaragua, raw cane sugar or coconut sugar and delicious superfoods. 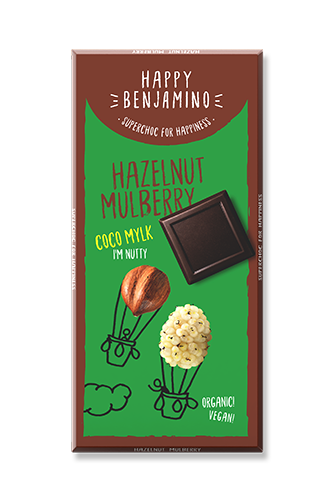 With the 7 different Benjamissimo bars you will experience an adventure that will undoubtedly touch your senses – with both strong and rich as well as sweet and fine flavours. 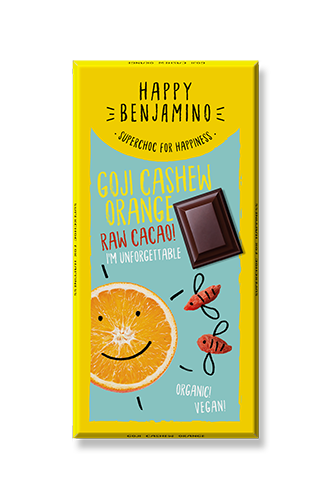 Mixing passion, love, high-quality cacao and superfoods, we have created an irresistible, healthy treat for the senses, that we call the chocolate of happiness – Happy Benjamino! 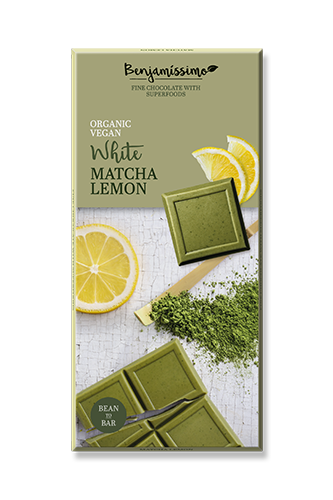 In our range everyone can find his/her favourite flavour. 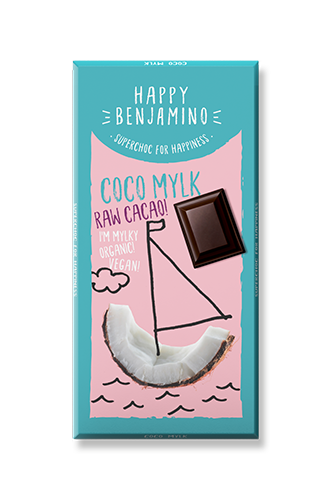 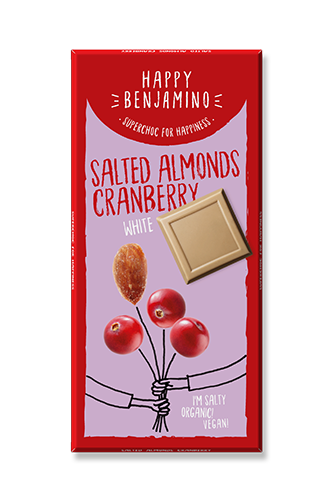 If you’re looking for energy before or after sport, or you are a fan of raw chocolate, or simply adore white chocolate, but you’ve never found a tasty vegan one – Happy Benjamino is the brand for you. 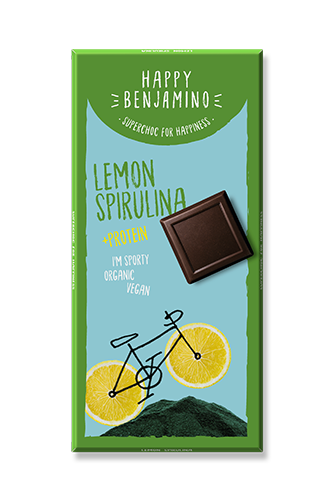 Combining all these amazing recipes with a cool and funky-creative design.